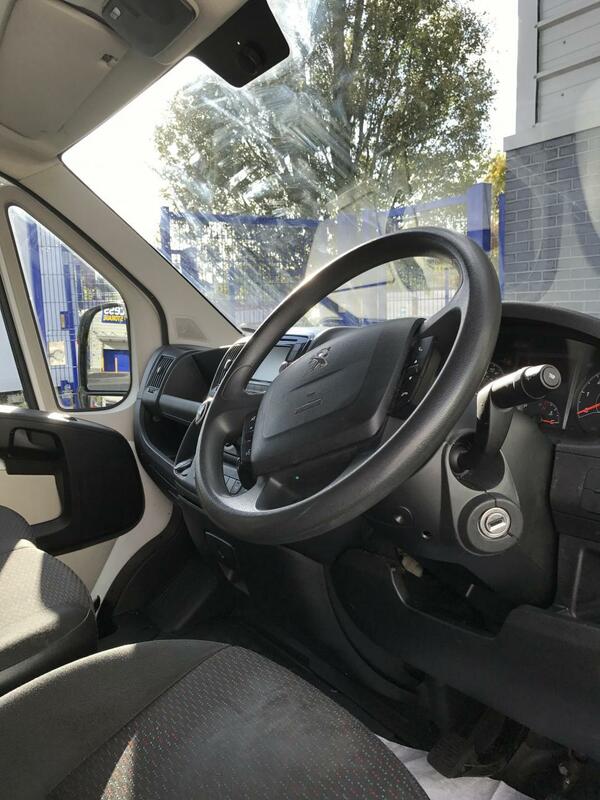 To make sure you get the best deal we'll show you great prices from all of our drivers, including London Removal, if they're available on the day of your move. 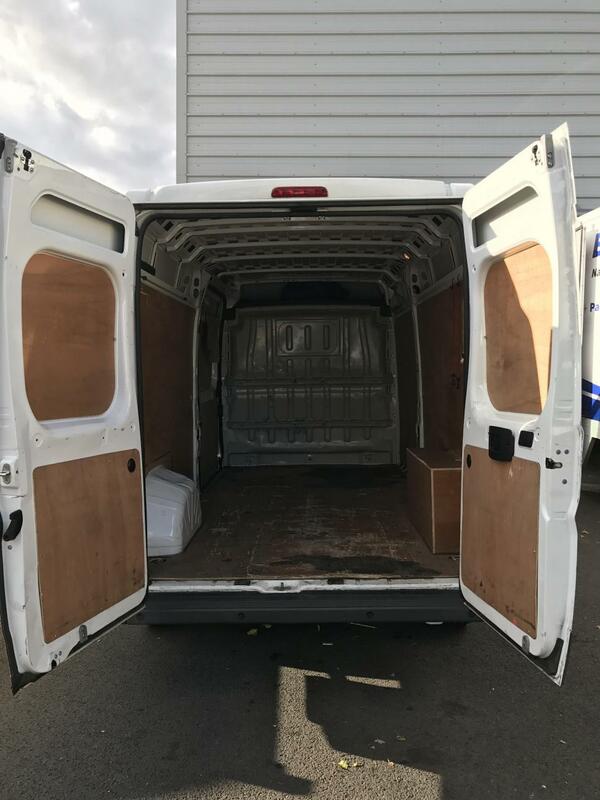 Have a question for London Removal? No problem, send them a message and they'll email you back as soon as possible. If you have a more general question you might find it answered in the FAQ, or you always contact one of our brilliant customer service team. * London Removal won't be able to see your email address. Lovely driver. Went above and beyond to help us move our things - including carrying heavy items through slippery ice. He even arrives 20 minutes early! The driver and his mate did a great job getting a wardrobe and large chest of drawers up a double dogleg staircase without a scratch. We are sorry for the delay with your booking. We do have a lateness refund policy which you will find attached to your email booking confirmation, from which you will see that you are certainly due a partial refund for a delay of this length. I cannot express how incredibly accommodating Reh was. He assisted us with a small office move which was intended to be straightforward but came with many difficulties from our previous landlords, road closures and restrictions and heavy rain. Reh was impeccable at dealing with all the obstacles calmly and professionally. He even said to contact him again should we need him, despite my joking that he would run a mile if ever he saw my mobile number flash up on his phone! I would have absolutely no hesitation in recommending Reh and will definitely use him again...if he can tolerate us!! The driver was great! Showed up on time and was really helpful. Would highly recommend him to anyone! Easy and stress-free move. Right on time, very respectful of my belongings and great service. Highly recommended! Customer service booked other van because the first one couldn't make it because of an accident. Efficient and very good service. Great driver and helpfull too. Great overall service. Will definitely use again. ray was extremely physical and helpful and took care of every item. He was great! Super helpful and nice and very efficient. He was very cheerful, and super strong. Very efficient, too, so went very quickly and smoothly. 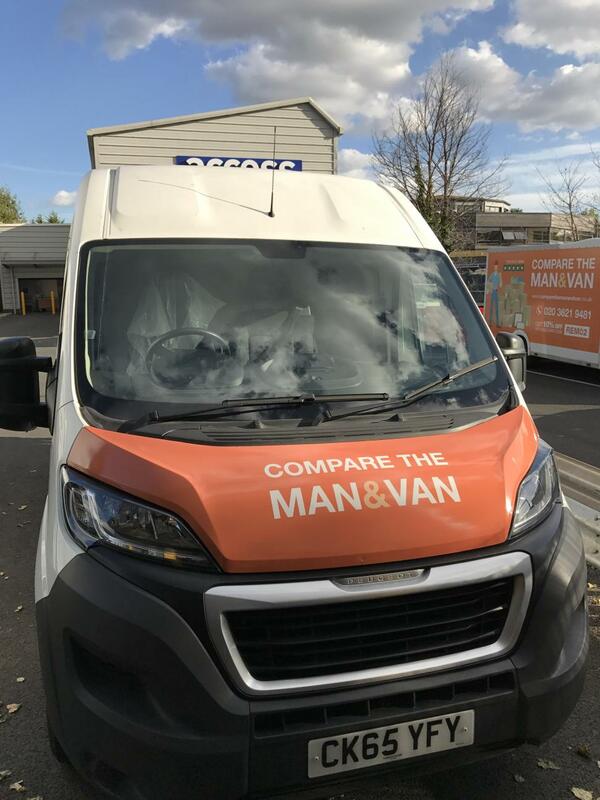 The van was very clean and in good condition. We had a misunderstanding re arrival time which is the only thing I wasn't happy with. Other than that absolutely great experience. He was absolutely brilliant and went above and beyond. I would highly recomend. Many thanks. He even accomodated for a change in time. The only thing i would suggest is to answer e-mail / phone when a message is left. Ray was fantastic. On time and super efficient with packing up our stuff, I think he was a tetris grand master in his past life. I would gladly use him again and again. Professional and helpful throughout. 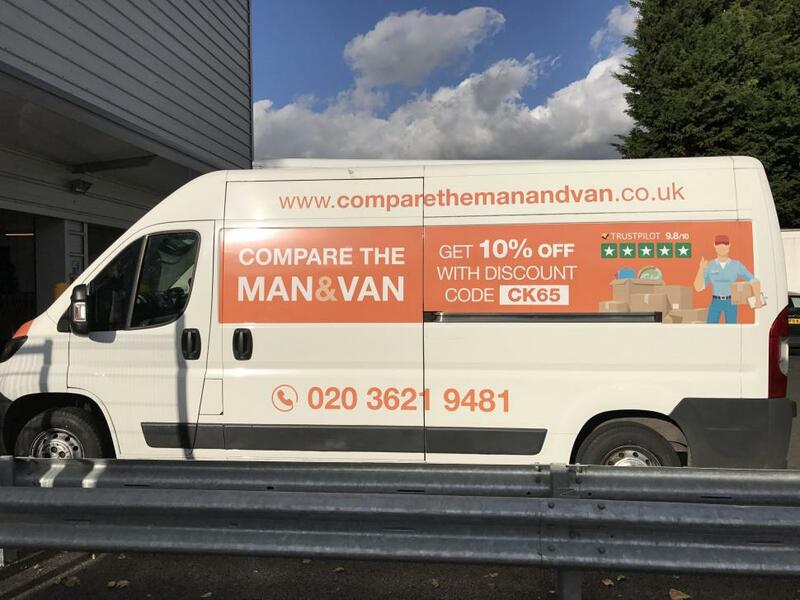 Best removal man I've ever had and would only ever use in the future. Highly recommended! Very helpful and friendly guy, very efficient. Made the whole move pretty seamless. Would definitely use him again! Thank you so much you were amazing and very helpful! Easy and straightforward. I would use this service again! Reh was really helpful. Reh was excellent, we got it all in done much less time than I thought and he was really efficient and friendly. Would highly recommend !!! Soe was brilliant! He arrived 5 mins early which was great and was very helpful loading things into and out of the van (and was super speedy!) . He made my move smooth and stress free. I can highly recommend him! Rei arrived early and waited patiently for me to be ready at my scheduled time. Very polite, safe driver. Excellent experience. Made my move much less stressful. Highly recommend. Great service. The driver, Reh, was slightly early and called to ask if it was alright. Wouldn't let me carry the heavier things, which I found very nice of him. Also, he was respectful of my stuff even when I told him not to bother with some particular items, and was extremely careful with the ones labelled as fragile/handle with care. Would definitely recommend and use them again (although, as I am still unpacking at the moment, I hope I don't have to move anytime soon). The driver was prompt and helpful. A good service. I am so grateful for today. Thank you. I feel so relieved. I still can't believe only you moved my stuff. I wish you well for the future. The move could not have gone any smoother!! Soh was an excellent driver who was prompt, efficient, and super helpful. Really went above and beyond. I would definitely recommend to anyone. I would have expected the quote to include congestion charge as both addresses are within congestion charge, but I had to pay that separately - this should have been made clear at booking time. CMV Response: We do make it very clear on the website prior to booking that your quote does not include the Congestion Charge. We also include this on your email booking confirmation. Unfortunately, we are unable to include the Congestion Charge in the quote you receive as it is a Government tax. Extremely helpful and pleasant, highly recommended. Ray was running 15mins late due to worse than usual London traffic, he called in advance to let me know how long he would be. He was polite, helpful and a very good driver. The move was done within the allotted time and it was a real help to me. Thanks so much, great service and great value! He was really nice and fast. I was Happy with the service!!! I was a little concerned when my driver was changed due to a scheduling conflict, but I needn'the have been. Reh was polite, professional and extremely efficient. I'd definitely recommend him and the service, which was excellent value for money. Super smooth move! So surprised at how quickly we managed to get everything loaded and unloaded! the driver was great, will defiantly request his services again. Arrived early , was well organised, and a polite gentleman. The driver, Reh, was amazing. Best moving experience ever. He was very careful with all my items and we had a friendly conversation on the way to the new house. Highly recommended. We found Reh Soe Man to be very respectful, helpful & efficient. We would happily use him again. He arrived 25 minutes early, which was fine, very helpful and I would definitely use them again. Very nice and helpful driver. Quick and efficient, especially since I only ordered it the day before needing the furniture moved.